The project is led by Montreal architecture and design practice T B A and David Theodore, Canada Research Chair in Architecture, Health, and Computation, at the Peter Guo Hua Fu School of Architecture of McGill University, who aim to present new ways to recognize, organize, and experience the built environment. Impostor Cities celebrates the notion that Canada’s architecture is infamous. Citizens of the world know about Canada’s architecture not only because they visit our cities and enjoy our buildings, but because they watch film and television. But unlike Paris, New York, London, or Rio de Janeiro, our cities are rarely the settings for popular shows. Instead, filmmakers and television producers turn Canadian locations into impostors. 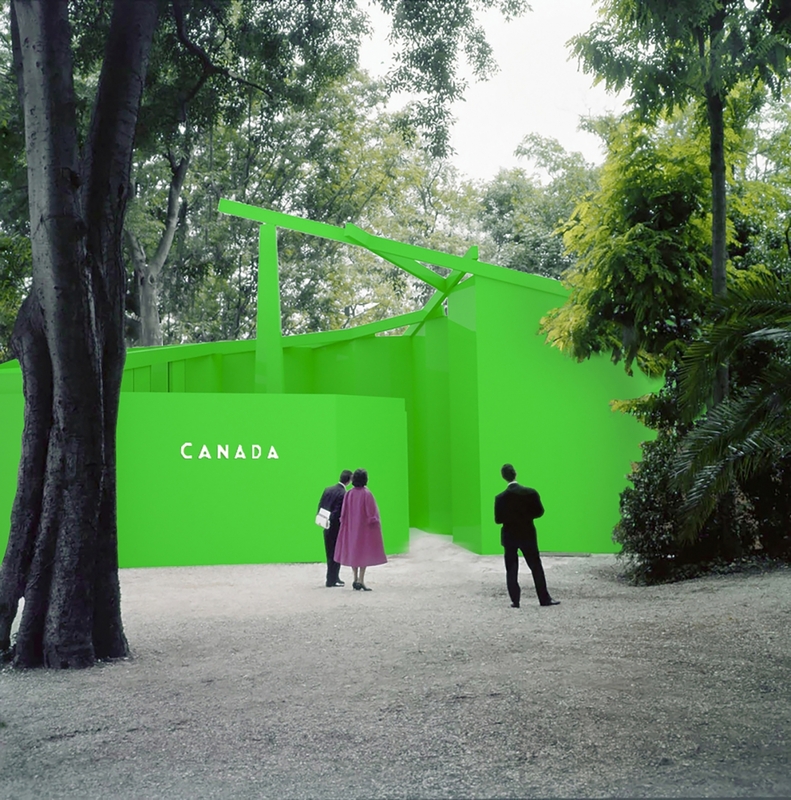 Using green-screen technology, video supercuts, and immersive sound, the exhibition raises questions about Canada’s architectural transformations in contemporary culture. Why are Canada’s buildings so good at doubling as elsewhere in films? In response, Impostor Cities imagines architecture in new modes of consumption and appreciation. Even cinematic experience has to be thought anew. In an era of Netflix, YouTube, and Amazon Prime, the qualitative difference between film and television has been blurred: 16:9 format smartphone displays mean that “cinematic” no longer denotes a fixed relationship between the screen and the viewer’s body. Instead, digital audio-visual experience has moved out into the city beyond the multiplex and the living room. Impostor Cities introduces a playful yet pointed counter-proposition to the construction of national identity through cinematic storytelling by organs such as the National Film Board and CBC/Radio-Canada. It also leans on ongoing re-evaluations of cultural production. Theorists today use the ideas of Canadian philosopher Marshall McLuhan and others to mix film with digital media studies, shifting our understanding of how fictional worlds rely on real cities. Impostor Cities expands and highlights uncanny moments of recognition: a new recognition of the Canada Pavilion and the shock of recognition of familiar cityscapes and buildings in a film. The impostor city is troublesome rather than specific, interesting rather than comfortable, diverse rather than uniform.